color may vary due to computer monitor settings. 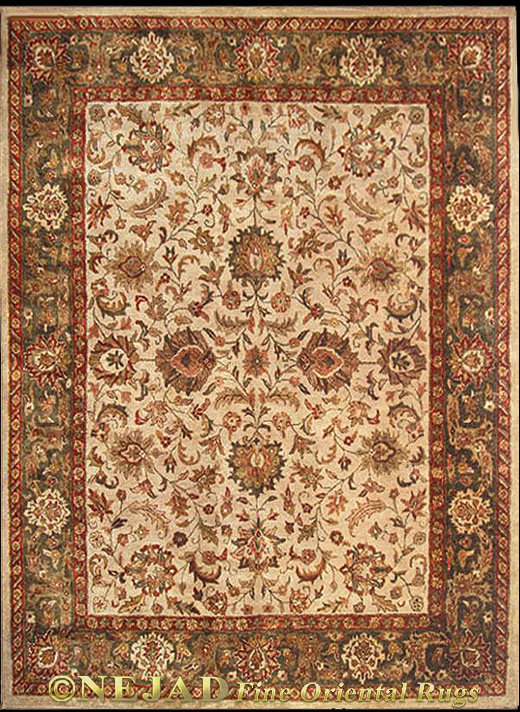 An exquisite combination of exceptional weave, magnificent design, & gorgeous color palettes, this heirloom-quality rug is expertly hand-knotted by the most skilled weavers, taking as long as one month to create one foot in length. Only the highest quality hand-spun vegetable dyed New Zealand wool is used, creating a rich lush pile that is velvety to the touch. The design is a perfect balance of open field, center medallion, spandrel corners, and accenting floral motifs.